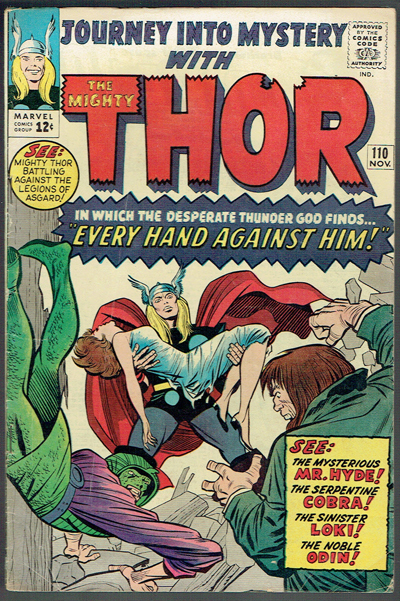 Cool early Thor issue from 1964. Fair amount of spine creasing and stress lines. Few tiny tears left edge BC.